Welcome to MetroplexDiscGolf.com! This site is dedicated to those who love disc golf and being a part of the family of disc golfers. 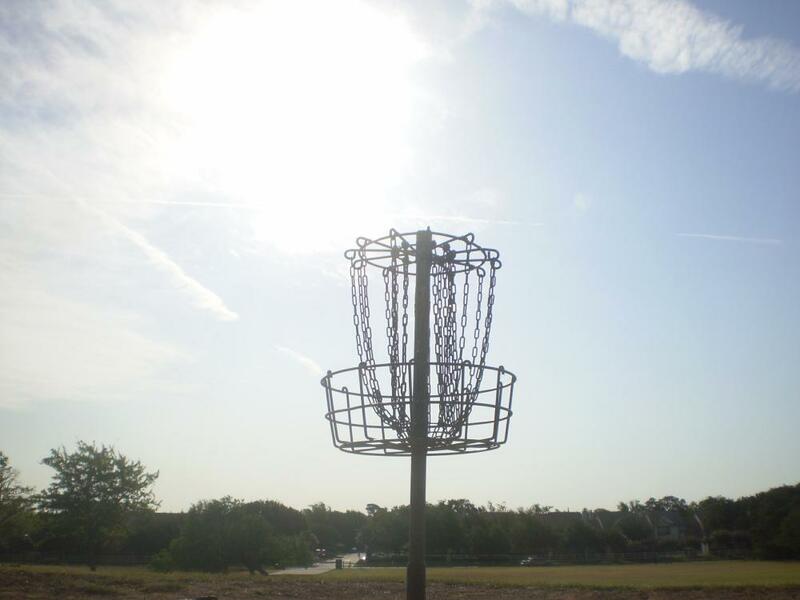 MDG will help you keep up with the local Dallas-Fort Worth metroplex disc golf scene! Here you will find articles, information, and photos on the greatest sport in the world. Whether you play casually now and then, or never miss a World Championship, this site is for you! Please contact us with photos, suggestions for articles, or any information we can use to make MDG better. Your feedback is encouraged to make the site more fun and useful for all! for a little while...Congrats to these recent ace holes!!! The Totally Free Bag Tag (TFBT) disc golfers of DFW are a roving group who play for the love of the game, and to get the lowest TFBT # on the course. Like other mini tournaments they'll also pocket a little cash or merchandise as a prize for a round well played. As the name suggests, these bag tags are totally free. Group founder and organizer Matthew Jara makes the tags himself, which he then distributes to the participants in the mini tournaments he runs around the DFW metroplex. Each week he goes to a different course in the area. 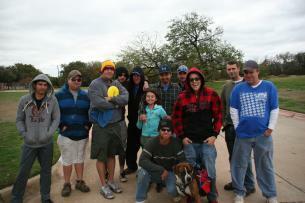 On Saturday, November 26th, he brought the group to Veterans Park in Arlington, TX. Jara is very enthusiastic about the group and about playing disc golf. It is clear that this group has developed that same attitude. You won't find a nicer group of guys, or anyone having more fun. Even a blustery, chilling North wind (which made even a ten foot putt treacherous) couldn't put a damper on their zeal for the game. Advertising on this site is available and very inexpensive. Bartering is available. How bout some plasma? Whattya got? Web presence created by DFW Innovative Web Solutions. Disc Golf info for the entire DFW Metroplex Disc Golf scene! Read about Texas legends and the oldest course in Texas on Articles page! MetroplexDiscGolf.com covers disc golf tournaments, has disc golf articles, disc golf photos, disc golf tournament previews, disc golf news, disc golf stories, and everything disc golf for Arlington, Ft. Worth, Dallas, and DFW! 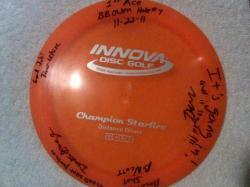 Do you like the disc golf stories, photos, information, and instruction on this site? Visit often and tell your friends! Patronize the advertisers on the site. Send a donation of any size via Paypal to flydiscs@sbcglobal.net. Donations of $20 or more will receive a MetroplexDiscGolf.com bagtag! Email photos and ideas for content. Tell how to make the site better.